As fall begins and the days start cooling off head out and see what's happening in Tampa Bay. Check out our list of the top ten events this weekend on the #BestCoast of Florida! Or find a way to share, explore or discover something new about Tampa Bay! Share - Spotlight Localite of the Week Molly McGilvray Share's the "The Fantastick's" at freeFall Theatre in St. Pete! If you're looking for some quality entertainment this week, head down to St. Pete and catch freeFall Theatre and their production of "The Fantastick's" which is the longest running musical with a new spin. There are shows Wednesday and Thursday at 7 p.m., Friday and Saturday at 8 p.m., and Saturday and Sunday matinees at 2 p.m. I saw the show during "preview" last week and it was as you'd expect from the title, Fantastic. Running through October 21st, you're going to want to see it first because tickets are already going fast as this is one of the premiere theatre companies/experiences in the area. If you haven't been, you're missing out as everything they do is incredible. They tend to put a different, creative spin on even the most well known works as their mission is to "provide a varied range of classical and new works that are bold, daring, and diverse." If you're looking for an after-show spot, check out Jannus Live this weekend for some great live music including The Summer After Tour featuring All Time Low Friday night or Slippery When Wet: The Bon Jovi Experience Saturday night. 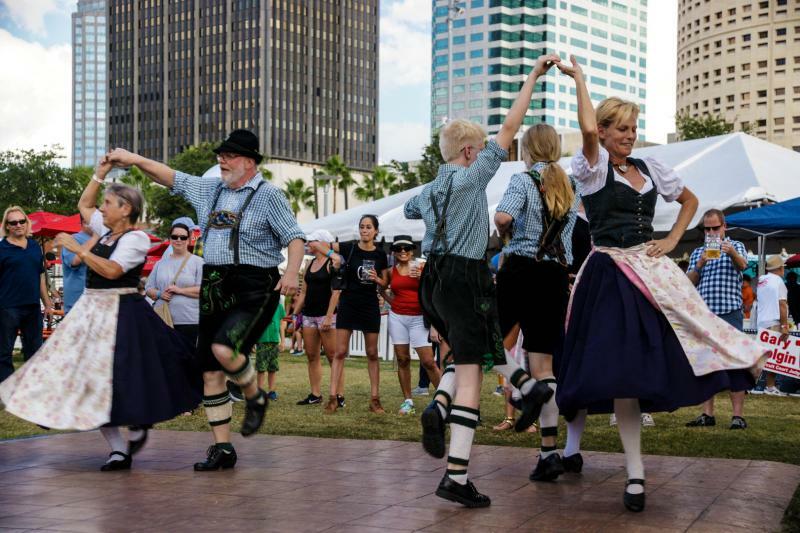 For any and all of these events happening on various parts of Central in Downtown St. Pete, check out the local spots for dining, drinking, and dancing before and after these events or really at any time as they are always amazing. That's where you will find some of the best local restaurants, breweries, and shops that the Tampa Bay Area has to offer. 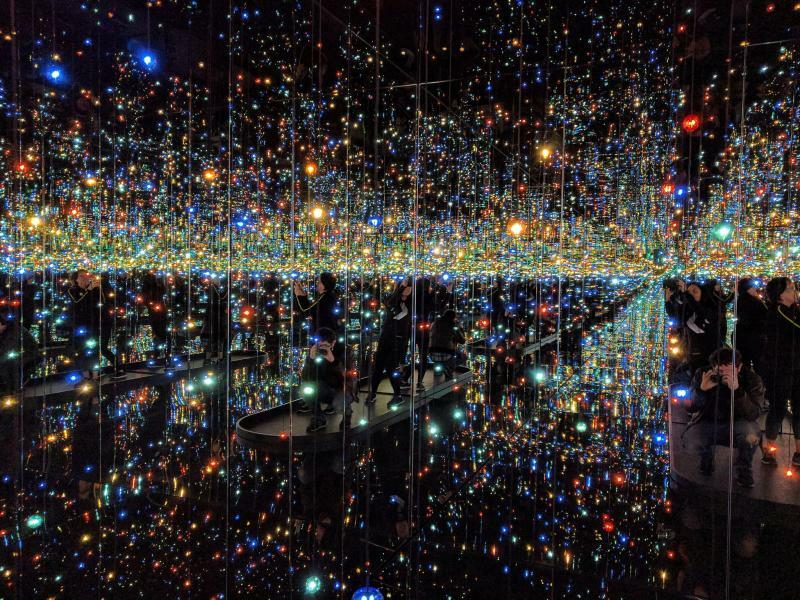 The Tampa Museum of Art is a place for exploration of your mind, or in Yayoi Kusama’s case, her mind! This new exhibit at the Tampa Museum of Art dives into the mind of an artist with her infinity rooms set up with vibrant colors and patterns that seem to go on forever. Tickets can be found on the Tampa Museum of Art’s website and you are allotted 30 minutes in these fascinating, colorful and pattern-filled rooms! But there’s more to see at the museum, like Patricia Cronin’s Aphrodite Reimagined and Wolfgang Flad’s Kiss and Tell sculpture that hangs overhead in the lobby of the museum. Another exhibit to check out is Vapor and Vibration that features art from Larry Bell and Jesus Rafael Soto. For a potential for a groundbreaking amount of likes, I would buy a ticket to Yahoo Kusama's Infinity Rooms... you'll thank me later! Discover Something New...Like Haunted Houses? Try Howl-O-Scream! October is almost here so you know what that means: Tampa’s favorite amusement park, Busch Gardens transforms into Howl-O-Scream! For 19 select nights now through October there is nowhere to hide at Howl-O-Scream! With six haunted houses and six scare zones, the ghouls and goblins are out to give you a good frightening. And if Haunted Houses aren’t for you, the park will have rides open too but watch out, there are zombies who ride with you! This year there's Simon’s Slaughterhouse, which will be so gruesome and gory they suggest people under 17 stay away. Beware, and head to Busch Gardens if you dare select nights now until October 28th! If you’re having trouble choosing charity work over happy hour, no need to stress this weekend! 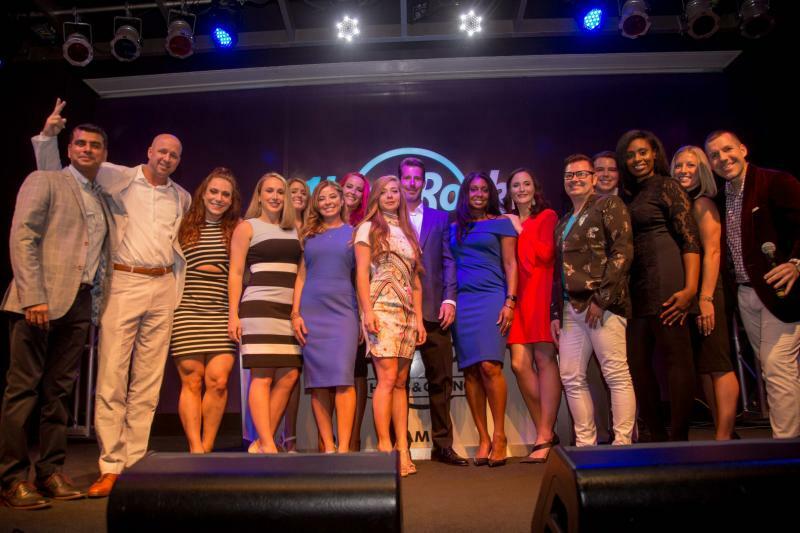 Bay to Bae brings some of the hottest singles in Tampa Bay together for this charity event that benefits various local charities from all over Tampa Bay! Twenty of Tampa’s most interesting and charitable singles have raised money for local charities over the past five months. To celebrate their success, they're having an Auction and Awards show this Friday Night at Steinbrenner Field! Drop into Tilted Towers or start off at Tomato Town and work your way into the action? However you choose to play, whether it’s aggressive or strategic, if you think you’re good enough then drop into the FortNite Tournament at Sky Zone. This Friday head to Sky Zone to see if you have what it takes to be the Ninja of Tampa! Are you ready for the Lightning season to begin? 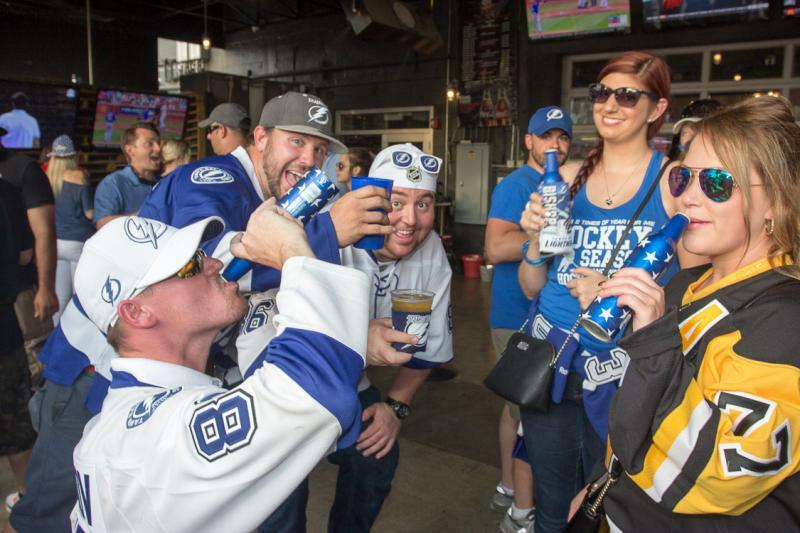 If you just can’t wait any longer, grab tickets for the Lightning Season Kickoff Bar Crawl and get hype about this season's puck-drop with other super-fans. You’ll head to some of Tampa’s coolest bars like Franklin Manor, Yeoman’s Cask & Lion, District Tavern and American Social along the way. Rumor has it Thunderbug will make sure that you are turning up like a real super-fan should be! Go Bolts! Scavenge the bars, shops and restaurants throughout historic Ybor City as you follow clues, search for items, and you perform challenges to see who can complete the hunt first! Costumes are encouraged so spectators have a chance to gander (or giggle) at your fashion sense. The hunt begins and ends at The Italian Club where there is a cash bar, live entertainment, a dinner and an awards ceremony after the hunt for the winning teams! It’s Latin Night in Wesley Chapel this Saturday from 5 p.m.-8 p.m.! Get ready for some Latin flare with music from a live DJ and live performances from Latin local artists. There's bound to be plenty of dancing during the festival, and with bounce houses and food trucks, there will be something for everyone to enjoy! Elephante will be taking over The Ritz this Saturday night during his Glass Mansion Tour! You’ll hear hits like “The In Between” and “Catching On” as this dance music phenom throws down. He brings colorful visuals and upbeat music that will keep you up on your feet until the early hours of the next morning. Dishes and Wishes is a one of a kind charity event that raises money for Make-A-Wish Foundation, and invites foodies from all over Tampa Bay to wine and dine at Armature Works this Friday evening. Last year, they granted over 24 wishes with money made from this event alone. Get tickets today and help raise money for a great cause. Lady Antebellum, I need you now! Or on Friday night at the MIDFLORIDA Credit Union Amphitheatre for their concert that is guaranteed to blow fans away. The trio will have you both impressed and astonished as they play the guitar, piano and mandolin along to their biggest hits for fans to hear. Need a margarita and need to work out this weekend? Check out the Tampa Margarita Madness 5K to get both done at the same time! Participants come from all different ages, shapes, sizes and speeds but every one will get at least one Mad Margarita! You can run or walk the three-mile course to the end at Largo Central Park. At the finish line there will be a DJ spinning live music and food trucks to to satisfy your hunger after the race. Dust off your lederhosen and snap on your suspenders for Oktoberfest at 3 Daughters Brewing this Sunday from 1 p.m.- 6 p.m. Take part in the costume contest, or drink a whole pint of beer! If you’re the strongest drunk around try the stein hoisting competition to impress the ladies. Get your ticket today and be guaranteed at least two beverages and a German meal, included in the $30 ticket price! If you're looking for more events in the Tampa Bay Area this weekend check out 813area, your free guide to Tampa Bay! Cover Image Courtesy of Flickr. Body Images courtesy of 813area.